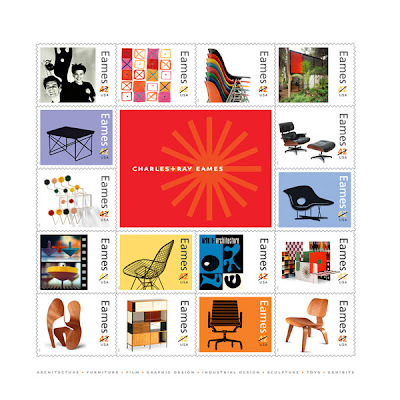 On June 17th, 2008; the US Postal Service issued a series of commemorative stamps honoring the designs of Charles and Ray Eames. Charles and Ray Eames were a husband and wife team who pretty much defined mid-century American furniture design. The Eames' designs (as well as their collaborative work with the likes of Eliel and Eero Saarinen, among others) also marked the first step toward a "Democratization" of design. That kind of democratization could have only happened in the US. The Eameses epitomized the idea that exquisitely designed furniture needn't be reserved for the very wealthy. 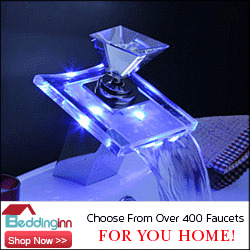 Further, everybody deserves to live in a well thought out, fully functional and beautiful environment. In a lot of ways, Charles and Ray were the beginning of the path that lead us to Target. Well, Target's better impulses at any rate. The Eameses work in materials such as fiberglass and plywood were gorgeously designed and mass produced by Herman Miller. Many of their designs remain in production and knock offs of their work are legion. I think I need to buy some stamps. Online.